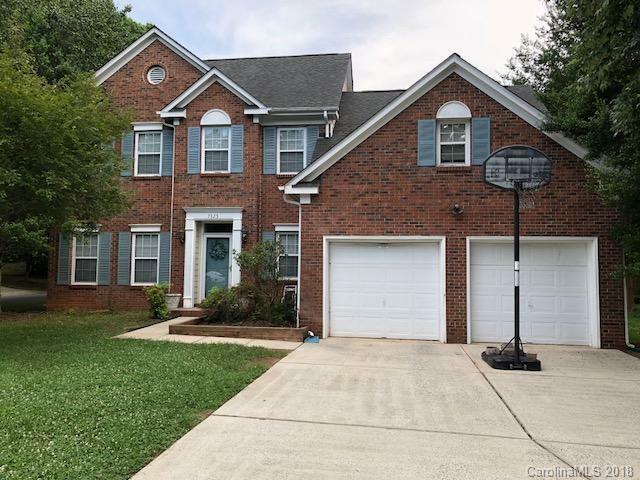 7325 Scarlet Runner Drive, Charlotte, NC 28215 (#3405528) :: Robert Greene Real Estate, Inc.
BACK ON THE MARKET!!!!!!!!!!!! CHARMING home in highly desired neighborhood!!!! SETTLED, QUIET COMMUNITY!!!! !Conveniently located to 485 allowing quick access to 77 and 85. Quick access to uptown, malls and UNCC. Home is situated on the corner of DOUBLE CUL-DE-SAC, no thru traffic. Full brick front, both formals, breakfast area, kitchen island and family room that leads to nice sized deck in large, flat backyard. Yard is lined with mature trees already providing ample shade and a fence could be added easily for additional privacy/pets. Nice sized bedrooms upstairs and loft overlooking family room that could be utilized as an office, flex space or bedroom. Jetted tub in master bedroom works wonders. Secondary bedrooms offer ample closet and niche spaces. This home has tons of character and has maintained it's original CHARM! Would be awesome for buyers looking for an opportunity to do their own updates and add their own touch! Sold by Engel & Vãƒâ¶Lkers Uptown Charlotte. Offered by Black House Realty. Copyright 2019 Carolina Multiple Listing Services. All rights reserved.